If you&apos;re like me and can&apos;t buy a new boat every few years, you probably spend a lot of time worrying about finding people and yards to help keep your boat alive. I&apos;ve owned boats for 57 years (time flies when you&apos;re crazy), and I&apos;ve done most of the work on these boats because it&apos;s been the only way I could afford the habit, and at times, it&apos;s been the only way I could be sure the work would be done well. But when I&apos;ve lacked the skills, muscles or time to do what&apos;s needed, I&apos;ve hired people or yards. There are many great people and yards out here. They do what they say they&apos;ll do, they do it well, they have the tools and equipment on hand, they care about you and your boat, and they are fair and honest. The trick is to find them. Through the years, I&apos;ve developed techniques for this, and following are a few. But first, I can&apos;t resist telling you some of the stories that demonstrate the importance of this subject and show that I&apos;ve had my share of problems. I&apos;ll never forget the time I hired a "credentialed" mechanic to change out a hard-to-reach raw-water pump on my diesel. I normally do this, but I had an injury and wasn&apos;t up to the job. He got the old one off and the new one on, and I paid him well. A few weeks later, as we were crossing the Great Bahama Banks, I heard a bad rattling during one of my regular engine room checks. It was coming from that water pump. We shut down the engine, and I found that the pump was extremely loose - about to fall off. The "credentialed" mechanic had put the lock washers under the heads of the bolts, rather than under the nuts. All the nuts had worked loose. The dampener in the Lovejoy coupling was demolished. I had another one, but I had to remove the pump to install it, rolling around at sea, bent over an extremely hot diesel, my head upside down. The only good thing about the event was that the "credentialed" mechanic wasn&apos;t aboard with me and within reach of my wrench. Another time, in a moment of weakness and desperation, I hired someone to install a bilge pump and switch in a very deep sump on the boat. He told me he&apos;d spec out the job and do most of the "construction" at his shop. (Hours worked out of sight may be hours billed out of sight.) He showed up two days later with a bilge pump neatly mounted on a long aluminum shaft. The on/off switch was also mounted on the shaft ... several inches below the bilge pump. That pump, once activated, would not have turned off until it burned out - unless it burnt out while pumping air as the water was rising. And the aluminum shaft would probably have deteriorated in a couple of years. Another time, I asked a yard to change my cutless bearing. Fortunately, I came to watch the job (I usually do this) and found two guys flailing away at the bearing with drift pins and steel mauls. There are tools specifically made for removing cutless bearings and doing similar jobs. The yard had one, but it was broken. I told the guys to stop, but they&apos;d already dinged the strut housing with a few misses, and the bearing was really stuck, in a half-in/half-out position. They had to spend many more hours getting it out, and then the new one wouldn&apos;t go in because of what they&apos;d done to the housing. They had to spend hours filing and sanding the housing. They tried to bill me more than 15 hours for a job that, with the right equipment, should have taken around one man-hour and shouldn&apos;t have damaged the strut. On another occasion, I hired a yard to do various jobs, including changing the brushes in my generator and doing some heavy-duty wiring. The "electrician," after taking the time to remove the cover and access the brush holders, installed only one of the two brushes. He left the other in the drip tray under the generator. I found it later. He also didn&apos;t have a tool to crimp the terminals on the 4 AWG wire, so he tried to smash them with a hammer to keep them hanging on for a while, and covered up the scene of the crime with large amounts of neatly applied electrical tape. I found what he had done about a year later as I was investigating the cause of frequent overheating at the connections and in the equipment. I can tell far more of these stories than I care to remember, and I&apos;m sure you have a few of your own. But I&apos;d rather talk about the good news, and there&apos;s plenty of that to talk about. Whether you&apos;re looking for a good yard or a good independent contractor, there are some incredible people out here. I&apos;ll give a few examples of people I&apos;ve dealt with and why I like them, but it&apos;s only the tip of the iceberg. They&apos;re mostly from the more southern latitudes because that&apos;s where I hang out most, but you can find people like them anywhere. Lee Kelm in the Fort Lauderdale, Fla., area - (954) 649-0003 - is not so much a one-man band as a one-man orchestra when it comes to air conditioning, refrigeration and related services. 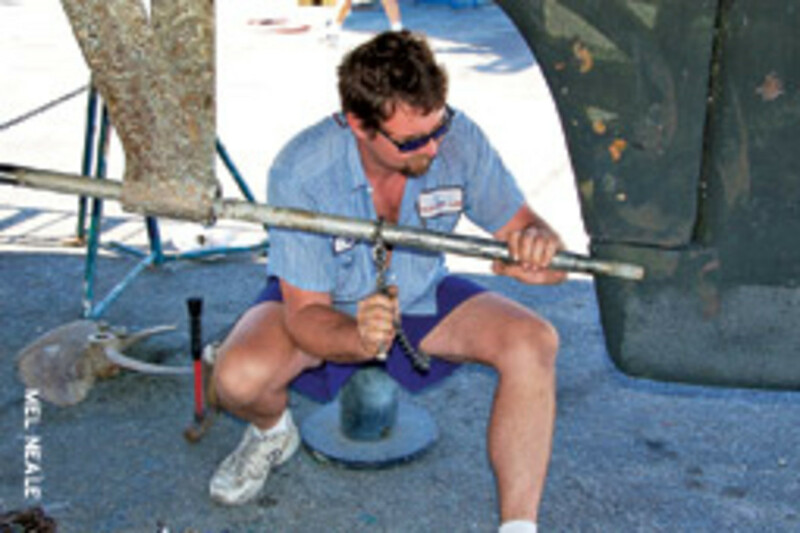 He works from his truck, which, unlike some yards I&apos;ve seen, almost always has the necessary parts and tools aboard. He&apos;s so good, people fly him to their boats down in the islands. 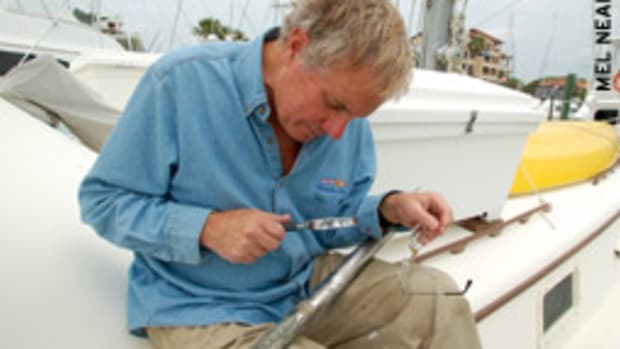 I&apos;ve seen Lee figure out things on my boat as though he built and installed them himself. And when I call him with a problem, it&apos;s like he&apos;s standing there with me looking at the units and telling me exactly what to do. Even with the huge number of boats he visits, he remembers the details of mine. Frank Monachello and his crew at Marine Pro (www.marinepro.us) in central Florida repowered Chez Nous a few years back. (I wrote about it in the September 2007 issue of Soundings.) What had been a disaster for us turned into one of the best experiences we&apos;ve had with mechanical people, with a "can do, will do" philosophy. Since then we&apos;ve been able to touch base occasionally with questions, and we&apos;ve always gotten answers, most of which have saved us money. (www.camacheeisland.com). We&apos;ve had them do a lot of work. For example, people around the marina love to watch what we call the "Del and Vern Show." The full-service yard is demurely tucked up in a corner of Camachee Cove Yacht Harbor, away from the main marina. When the docks are full, getting your boat to the yard lift can involve some very tight maneuvering. But Del and Vern gently ease that boat through the water and coax and wheedle even very large yachts among other large yachts without a scratch or a scrape. They make the boats move like graceful ballerinas in well-executed choreography, although I don&apos;t think either of these guys would appreciate the comparison. The best compliment I can give is they&apos;re the only people I&apos;ve ever allowed to run my boat in tight quarters. I&apos;ve also watched Del accomplish jobs well, simply from experience and common sense know-how, that others have taken four and five times longer to do. In replacing my shaft, he had to drop the very heavy rudder. Working alone, he used blocks of wood and a hydraulic jack to lower and raise the rudder and had the entire shaft job done in only a few hours. Another yard, which once dropped my rudder, took almost a half-day, with two men, just to lower it. 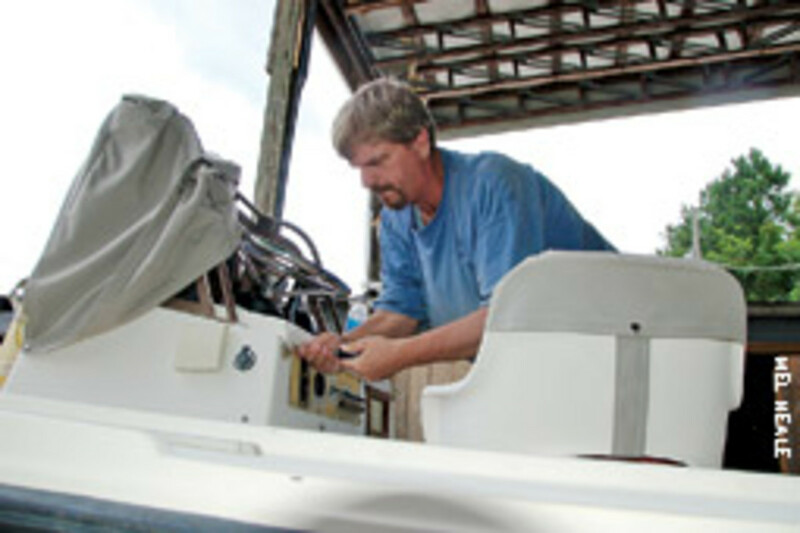 Clay Hansen in St. Augustine (www.hansenmarineservices.com) is a private contractor who does air conditioning and refrigeration, as well as many other types of boat work. He has several well-equipped panel trucks, comes when promised, gives honest assessments of problems and does the job well. Moving up the coast, there are many more. I think of Kevin Fay, in the Deltaville area of Virginia, as a combination genius and wizard. He specializes in electronics but can do much more. He owns Marine Electronics of Hartfield (www.buygpshere.com). Kevin has been repairing electronics and other boat stuff for us, and many others, for 27 years. The guy is amazing. He seems to work as fast as he can think. His mind races through logical sequences. It doesn&apos;t seem to matter whether the problem is in hardware, such as wiring or terminals, or in software. As he races about the boat, he rules out possible root causes by process of elimination, isolating the real culprits and fixing them. He has parts available that others don&apos;t even know exist. He also creates installation solutions. 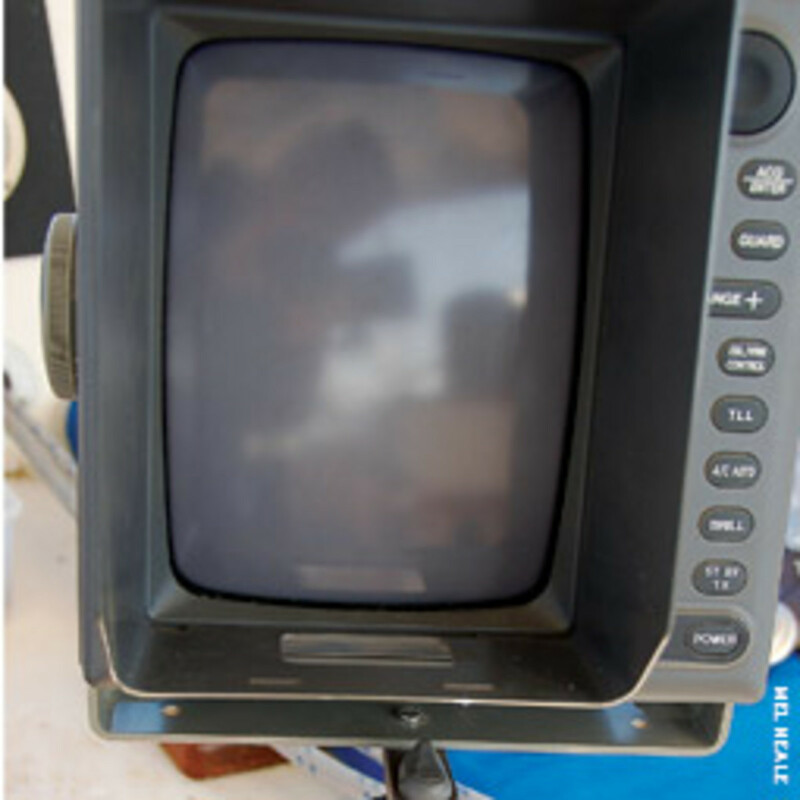 For example, we didn&apos;t want to pay for a radar display for our cockpit as well as one for the nav station below. He set it up so that we could transfer the display back and forth, and made a mount out of a winch handle for the cockpit. We just insert the modified handle, radar attached, into a winch. It works great. And I&apos;ve noticed that he remembers exactly what he did on my boat years after the job. If he comes back, it&apos;s like he was there yesterday. I wrote about Whelan&apos;s Marina (www.whelansmarina.com) in the November 2009 issue of Soundings. I was amazed at their skill and knowledge of outboards and boats. 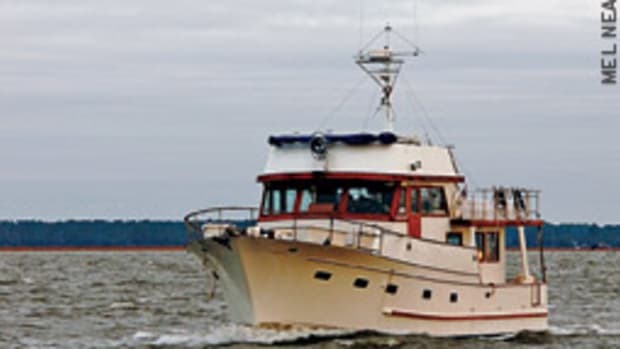 Also in that area, Deltaville Boatyard (www.deltavilleboatyard.com) has done great work aboard Chez Nous. I&apos;ve never had Erik on my boat, but I&apos;ve talked with him about various problems, from diesels to outboards to fuel solutions and more. When my 1985 Yamaha stopped shifting gears, I had to figure out the cause so I could decide whether to throw money at it or give it up. Erik told me, sight unseen, exactly what the problem probably was, what would have to be done to fix it, and exactly where to look to confirm his diagnosis. He was right on. When discussing new engines, he was able to give me numbers such as the gasoline pressure, in pounds per square inch, generated by the high-pressure fuel pumps of some of the new 2-stroke outboards. I&apos;ve mentioned only a very few good yards and individuals as examples. They and many others have some things in common. They have a "can do" attitude and have the skills, the experience and the equipment to do the job in a reasonable amount of time. Also, they are honest, fair and will tell you what&apos;s going on. But if you don&apos;t already know somebody for the job, how do you find them and what can you do to make your experience with them a good one? Obviously, one of the best ways to find a good yard or contractor is to ask around. (I&apos;ll often use the terms "yard" and "contractor" interchangeably.) However, there&apos;s a flaw with this method. The flaw is that people love to gripe. It seems it&apos;s human nature to prefer to gripe rather than to praise. 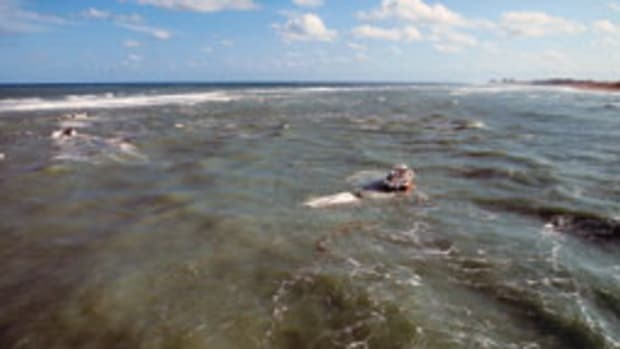 But this problem is exacerbated when we&apos;re talking about boat work, which has more complications than most other work, and all too often the boat owner doesn&apos;t understand what they are. There is a subset of problems that even experienced people can&apos;t always predict. I&apos;ve done hands-on work in a lot of areas through the years, including cars, tractors, houses, trucks, farm equipment, and even saw mills in the distant past. 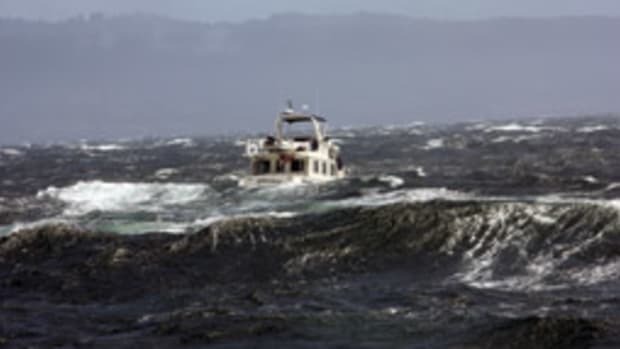 In my opinion, there&apos;s nothing so unpredictable as working on boats, and there are many reasons for this. One is that you can never depend on there being straight lines. Everything is curved or has weird angles or inconsistent spaces. This obviously affects work like carpentry, but it also affects work on machinery and almost everything else. Another reason is that most boats tend to have a lot of stuff packed into their uneven, unsymmetrical spaces. This often means that to work on item A you have to remove or disassemble item B and maybe a few more items. It also means you often can&apos;t get a tool to a part or that, even if you can get a tool there and turn the bolts, you can&apos;t get the part out of its space once the bolts are removed. Of course, sometimes you can&apos;t even see what you&apos;re working on. To compound the problems, some builders put boats together without much thought about fixing them later - for example, engines and generators that are put in place before the deck is installed. This issue doesn&apos;t just involve engines. We had to replace a refrigerator on an earlier motorsailer we owned. I thought it would be an hour&apos;s job at the most. But we couldn&apos;t get the old one past the mast. We had to take the old refrigerator apart to get it out, take the new one apart to get it into place (so much for the warranty), and then put the new one back together again. There are many other issues unique to boat work - just because it&apos;s a boat. Electrical work quickly comes to mind. The standards and materials for doing this work on a boat are far different from what you can get by with a house. Even plumbing has unique issues because of the spaces it must run and the fact that most boats vibrate and flex. All of this and more tends to generate misunderstandings that sometimes gives boatyards and workers a bad rap, which may not be deserved. We need to keep this in mind when we are asking around. If we get some good reports about a yard or worker but also hear a negative report, it helps to ask the person with the bad experience for the details of his job and of his complaint. After you&apos;ve narrowed the field, talk with the candidates. Ask hard questions and ask them to explain answers if you don&apos;t understand. If a candidate doesn&apos;t seem interested in taking the time to talk, it&apos;s not a good sign, because thorough and satisfactory discussions may be very important as the job progresses and at billing time. Also, visit the facility if you&apos;re going to a yard. Check to see if it seems to operate well. Check for equipment and tools relevant to your job. Are the workers lounging around chatting on the job, or are they hustling? Ask about the yard&apos;s business plan as it relates to your proposed work. For example, some yards have workers who, in some respects, work as quasi-independent contractors, even though they are on the yard&apos;s payroll. They may "bid" on a job (through the yard) and get a percentage of the profit. This may be either beneficial or detrimental to the customer, but you should know about it. I&apos;ve found that it can lead to a disconnect between what I was told when I first contacted the yard and what actually happens, and I&apos;ve also seen it create a tendency to rack up more billed time than needed, although others, I&apos;m sure, have had contrary experiences. Regardless of the organizational structure, it&apos;s important that an experienced supervisor has the ability and incentive to evaluate whether the time billed is commensurate with the job actually done. I once had a yard worker spend almost an entire day running cable between eight terminals in my forward stateroom. I heard the supervisor, in no complimentary terms, tell the guy that if he&apos;d had to walk a couple miles between each terminal his time sheet may have made sense, but what he&apos;d billed was absurd, and he was going to eat it. 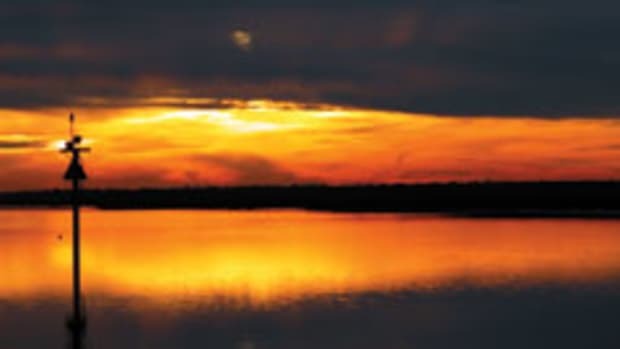 Before you commit, have a discussion with the yard to the fact that, even though boat work is exceptionally unpredictable, you are not authorizing a carte blanche foray into your bank account. A good yard will normally advise you of any unexpected problems that are beyond the realm of the estimate and let you authorize or decline the extra work. Also, insist that there be a reasonable and understandable (by you) correlation between the time billed and that which is actually accomplished. A yard or worker who is experienced, qualified and equipped to do your job should have the expertise to give you a reasonably certain estimate. 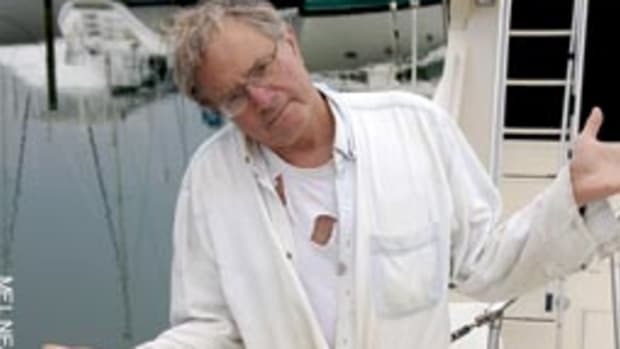 If I find that the other party is covering his backside by an unreasonable reliance on the excuse that "boat work is unpredictable," I go elsewhere. I also go elsewhere if I find that the yard or contractor thinks he&apos;s talking to a dummy with a fat, wide-open wallet. Look for a good fit. In checking out a yard or independent contractor, try to get a feel for the typical customer. If the typical customer isn&apos;t someone like you, there may be problems. For example, I&apos;ve noticed that some yards and contractors cater to, or are accustomed to doing business with, the very wealthy. There are certain people who want to "go yachting," who don&apos;t want to be bothered with boat problems, who want somebody else to remove as much worry as possible and who have the money to pay for it. To those folks, I say more power to you. I envy you. 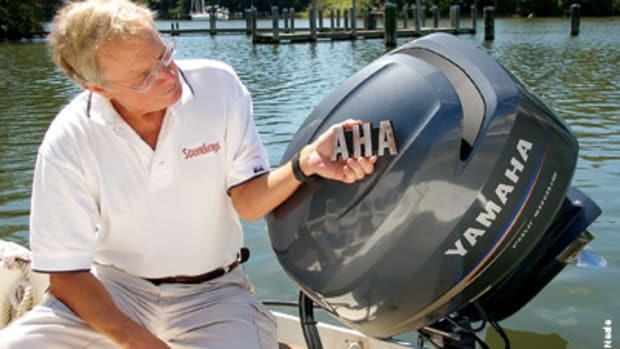 But sometimes added to the mix is the fact that some of these big spenders also don&apos;t know much about the mechanical, repair and maintenance aspects of boating and, therefore, don&apos;t know whether they&apos;re getting ripped off. To make it worse, a few don&apos;t seem to particularly care. If I see a yard or a contractor who is accustomed to working for people like this, I know that I probably can&apos;t afford to do business with them. I also figure that the yard or contractor is probably just as glad not to have my business. However, there are many yards that work on megayachts and cater to the megayacht mentality but also work on smaller boats for the "average guy." Some even have divisions in their yard structure for this. So ask before you automatically rule out a yard with a $10 million boat sitting on the blocks. I&apos;ve referred to boatyards a lot, but you don&apos;t necessarily have to go to a yard to get great work done. Some of the best people I&apos;ve had on my boat have their "facility" in a pickup or panel truck. For many jobs, such as refrigeration work, you usually don&apos;t need a yard, and the work can be done just as well in your slip. Don&apos;t rule out a good contractor who works from his truck. He has lower overhead than a yard and doesn&apos;t have to pay for real estate or related infrastructure, and this can be reflected in billing. There is no hierarchy of blame if something goes wrong. He knows the buck stops with him. He competes for work directly rather than through the filter of yard front men. He doesn&apos;t have the cushion of an organization that could allow him to coast, and he may have an invaluable amount of hands-on experience. I&apos;ve also found there is often much more of that all important "can do" attitude because he&apos;s accustomed to getting things done himself rather than saying, "Oh, I&apos;ll have to get them to schedule another department to do that." Depending on the work performed and the contractor, there may be insurance issues with a person working from his truck, but you can ask about it. You should be paying for skill, experience, equipment and that which is actually accomplished. But whether you&apos;re using a yard or private contractor, the time involved will normally be a major factor in the billing. Therefore, it helps to do what you can to make the job go quickly. Have the space in which the work is to be done cleared. Don&apos;t consume the person&apos;s time with unimportant questions unless you&apos;re willing to pay for the time they consume. And don&apos;t let the worker "chat you up." Some will do this because it&apos;s much nicer to run the mouth than to bust knuckles turning wrenches. Having said that, I&apos;ve also had some great conversations with workers whom I consider friends, and I haven&apos;t gotten ripped off. While a few yards don&apos;t want to let the customer on the property, and while there may be reasons for it, such as liabilities for injury, I would never agree to this. I want to know what&apos;s going on with my boat. It&apos;s not like a car in a repair shop with a sign saying, "Do not enter work area for insurance reasons." A boat goes out on the water - mine, the ocean. If something breaks, you can&apos;t just pull off to the side of the road and call a tow truck. I insist on personally visiting the work site, but I do everything I can to stay out of the way and not cause additional expenditure of time. When dealing with a yard or contractor, it&apos;s important to remember something that many boat owners subconsciously overlook. As boat owners, we associate boating with fun. We enjoy discussing our boating issues with other boaters, and it isn&apos;t uncommon for boaters to help each other with problems. That help may range from advice to actual hands-on grunt work. Whether we think of boating as recreation, a lifestyle or an escape from hassles, we seldom think of it as a business. However, boat workers do. They can&apos;t buy the necessary tools, pay the employees, pay for the infrastructure (even if it&apos;s only a pickup truck), or feed their families if they don&apos;t treat what they&apos;re doing for us as a business. They can&apos;t be there for us unless they do it as a business. They may love boats (and many of them have boats), but working on your boat is their business. We have to realize that as we deal with them and not expect tons of freebies, whether it&apos;s time or material, just because "it&apos;s a boat." And we have to swallow and digest that awful truth that boating can be, and usually is, expensive. 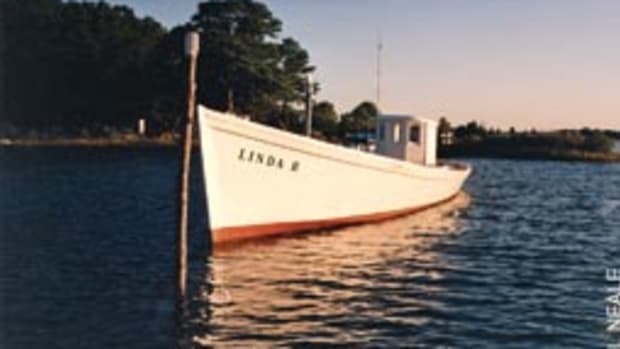 Boats have been an essential part of my life for more than half a century. Even though I&apos;ve done most of the work myself through many years of many boats, I&apos;ve also found that we can&apos;t boat if we don&apos;t have good people to help us when we need them - and need them we will. And I&apos;m increasingly grateful there are some really good people out here.